Awesome! EXTREMELY ADDICTIVE!! This podcast should probably be considered a controlled substance! Good info and fun to listen to! 524: Judging Age & Origins, part 3 - Beyond Our System Astronomy Cast 524: Judging Age & Origins, part 3 - Beyond Our System by Fraser Cain & Dr. Pamela Gay We learned how to figure out the ages of objects in the Solar System, now we push out into the deeper Universe. What about stars, galaxies, and even the Universe itself? How old is it? This episode is part 3 of a series. 523: Judging Age & Origins, Pt. 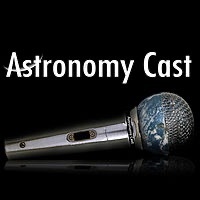 2 Across the Solar System Astronomy Cast 523: Judging Age & Origins, Pt. 2 Across the Solar System by Fraser Cain & Dr. Pamela Gay Today we push our aging curiosity out into the Solar System to ask that simple question: how old is it and how do we know? What techniques do astronomers use to age various objects and regions in the Solar System? This is part two of a series. Bonus: Dust with Dr. Paul Sutter Astronomy Cast Bonus: Dust with Dr. Paul Sutter by Fraser Cain & Dr. Pamela Gay Recorded during the Astrotour to Costa Rica, Fraser talks to Dr. Paul Matt Sutter about the nature of dust and BICEP 2's claim of discovering primordial gravitational waves. 521: The Deep Space Network Astronomy Cast 521: The Deep Space Network by Fraser Cain & Dr. Pamela Gay We always focus on the missions, but there's an important glue that holds the whole system together. The Deep Space Network. Today we're going to talk about how this system works and how it communicates with all the spacecraft out there in the Solar System. 363: Where Did Earth's Water Come From? Sorry for the lack of a Hangout last week, we had massive internet fail in Fraser's home city. This week, we talk about: Building a real starship Enterprise, preparations for the annular solar eclipse, investigation into the Gaia theory, fuel for black holes, Hubble and the transit of Venus. We're joined by Amy Shira Teitel, Jason Major, Nancy Atkinson, Nicole Gugliucci, Phil Plait. In this episode of the Weekly Space Hangout, we talk about two different asteroid close passes, the solar storms buffeting the Earth, a recent space exploration conference, and a team of amateur astronomers flashing the space station. We're also joined by Ryan Kobrick - Executive Director of Yuri's Night - to talk about the upcoming festivities. This week we continue the story of galaxy formation, learning how groups of galaxies come together to form the biggest structures around – galaxy superclusters. And when you look at the Universe at this scale, environment is everything.